In the golf swing, just like anything, it seems, the devil is in the details. I want to let you know about two details that seem to be working well for me lately. The first one has to do with the golf club. That’s what we swing to hit the ball with. So far, so obvious, but it’s not always made to be that simple. You have teachers who say you swing the handle. Eddie Merrins comes immediately to mind. Then there are others too numerous to mention who say you swing the clubhead. We could go on. But what you’re really swinging is the golf club–the entire thing. All of it. You don’t swing the handle and leave the rest of it behind, do you? When you think of swinging the entire club all at once, even though you are holding onto a small part of it, everything changes. At least it does for me. In several of my posts, and in my Living Golf Book, you will find me to be an advocate of the concept that swinging the club correctly tells the body what to do. That only makes sense if your mind is on the club. Not just part of the club, but all of it. Handle, shaft, clubhead, not three parts, but all one thing. Now this is a feeling in your mind and feelings are notoriously difficult to describe. The best I can do is to suggest that even though your hands are holding only the handle, it has to feel as if they were holding the entire club. I hope you can take it from there. The second fine point is more technical and is something you can put your swing right away. 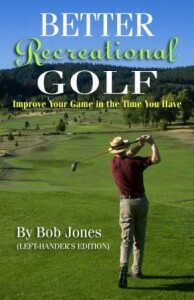 I read about it and James Sieckmann’s new book titled, Your Short Game Solution. We all should know that the shape of your left wrist at the top of the backswing should be the same as it was address. This goes a long way to keeping the clubface square. 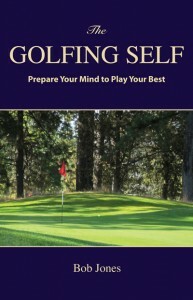 In this book, Sieckmann adds the obvious point that the wrist should be in that shape throughout the backswing. What I played with that idea, I discovered my wrist was getting out of shape along the way then back in again at the top. That didn’t seem to affect my full swing all that much, but I discovered it went a long way toward explaining why I occasionally shank short pitch shots. 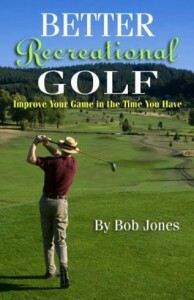 I had been bowing my left wrist outward, which shoves the entire club outward. The short swing did not give me enough time to get the wrist back in shape so the club could be pulled back in. That meant when the club came back to the ball it was not the clubface but the hosel that would do the hitting. By keeping my left wrist angle constant, that problem, which I have tried so many things to solve and failed, is now a thing of the past. Better yet, I find this point makes it very easy to do what I suggest above, which is to swing the entire club. So that’s what I’m working on right now. You might give them a try to see if they make any sense to you.